Corolla and Currituck Couny have numerous attractions for your enjoyment. From sightseeing activities to active outdoor adventures, there is something for everyone. 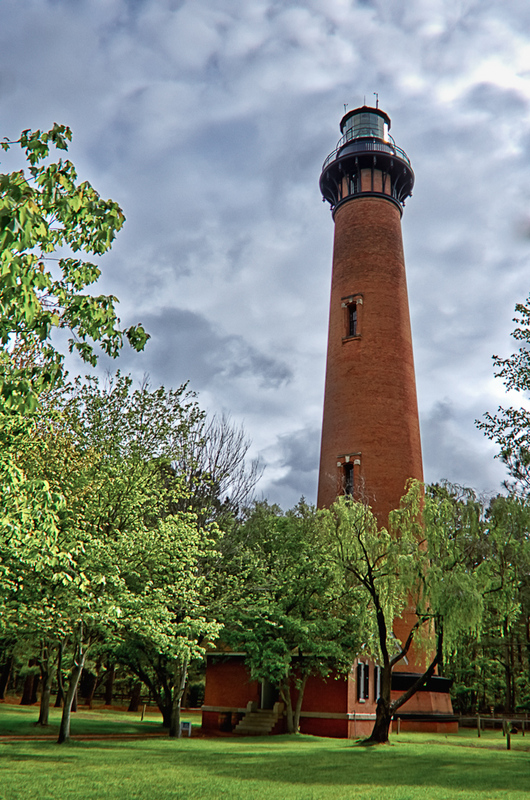 The Currituck Beach Lighthouse at Corolla is the only light in North Carolina that is still housed in its original structure. The tower is 163 feet tall. First put into service on December 1, 1875, it still serves as an aid to navigation. Each of the many lighthouses in the region received distinctive painted exteriors to aid identification –except the light at Corolla. It was distinguished by being left unpainted, allowing the visitors to view nearly one million bricks! Visit their website or call 252 -453-4939 for more information. Unless you live on a steady diet of McDonald’s, there are plenty of choices for dining in Corolla. Expand your horizons to Duck and points south, and you’re options will seem endless. From a pizza dinner at the Tomato Patch in Monteray Plaza to a 5-star meal at the Left Bank in Sandlerling, you can find the style and price tag to fit your desire. The only problem is trying to list all the possibilities here, so we won’t even try. Here is a link to a Corolla Dining that will set you on your way. For the record, the nearest McDonald’s is in Kitty Hawk at the WalMart / Harris Teeter Center. Fishing off the shore, from a rental watercraft or on a Charter are all options for the fishing enthusiast. Check out the Corolla Fishing website for more information. 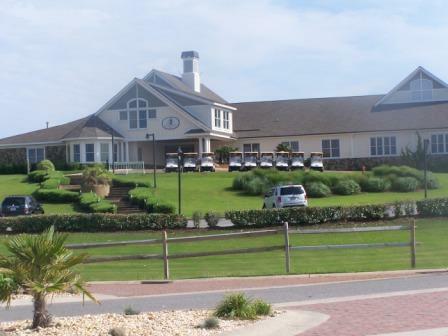 The Currituck Club is the sole Currituck County golf course on the Outer Banks. It is located a mere mile or so south of Buck Island, at the Harris Teeter entrance. It is a high end, quality course. Visit the Currituck Club website from more information. Other courses exist on the Outer Banks and inland in Currituck County. Visit Outer Banks Golf Courses for more information. Bird watching, hiking, biking, off-road driving are a few of the activities available on the Outer Banks. Depending on your preference, locate the Audubon Sanctuary just south of The Currituck Club, the 4WD area north of Corolla, the Currituck National Wildlife Refuge, and the Mackay Island National Wildlife Refuge at Knotts Island. Bikes can be rented in numerous places and are welcome in our biker friendly community. TimBuck II, located due west of Buck Island across Rt. 12, offers the most extensive dining and shopping options for our visitors. 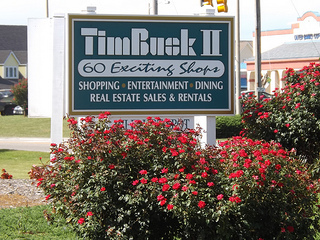 Visit TimBuck II. An array of dining and shopping options exist in Duck. Visit Duck NC Shopping. 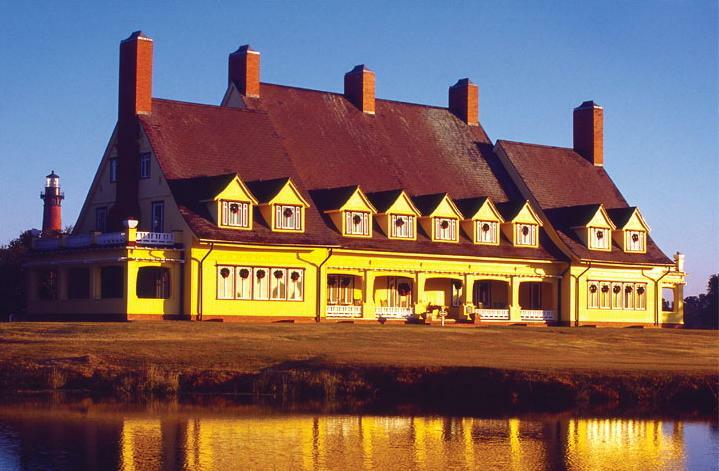 The Whalehead Club at Currituck Heritage Park is a must for Corolla vistors. Just 4 miles north on Rt. 12, near the lighthouse, stands the Corolla landmark. Built in the mid-20′s the structure has been restored to its original glory and now stands as a museum to the bygone era. For visiting information visit Whalehead Club. For those looking for a little pampering, two Spa’s are available for your pleasure. The Sanderling Spa, located at the resort, is about 8 miles south on Rt. 12, north of Duck. The Aqua Spa can be found in Duck. Both offer a variety of services. There are a vast array of watersport activities available for the sound and ocean. Various companies offer kayaking, canoeing, windsurfing, parasailing, wind-surfing, boating, and jet skiing. If you have a desire to try a water activity, here’s a link to get you started – OBX Water Sports. 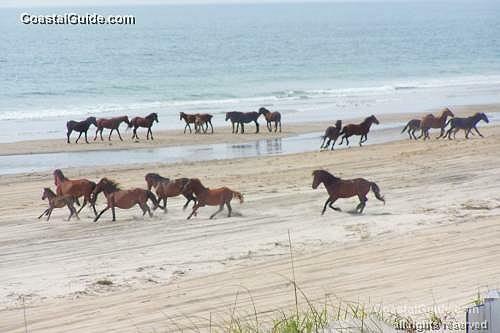 For more than 400 years, the Corolla Wild Horses have run free on the Currituck Outer Banks. These beautiful Spanish mustangs can still be seen roaming the beaches in the 4 Wheel Drive area, located about 7 miles north of Buck Island at Rt. 12′s end. Visit the Corolla Wild Horses website for more information.